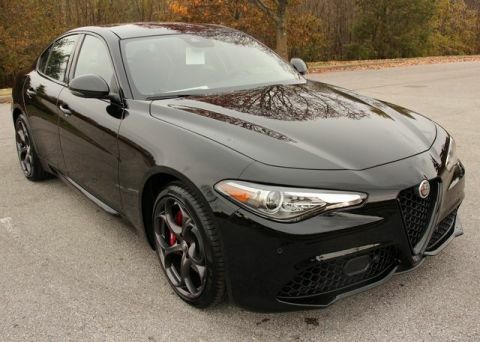 2019 Alfa Romeo Giulia AWD in Vesuvio Gray Metallic, Black Leather Seats, Cold Weather Pckg (Heated: Front Seats, Steering Wheel and Washer Nozzles), Sport Interior Pckg (Aluminum Interior Trim, Aluminum Steering Column w/Mounted Paddle Shifters, Bright Aluminum Pedals, and Sport Leather-Wrapped Steering Wheel), Driver Assist Static w/Front Sensor Pckg (Auto Dim Exterior Mirrors, Blind Spot and Cross Path Detection and Front/Rear Park Assist System), 8.8-Inch NAV Radio w/SiriusXM Pckg (8.8-Inch Widescreen Color Display, AM/FM/HD Bluetooth w/NAV 8.8 Radio, GPS Navigation, HD Radio, and SiriusXM Satellite Radio), Nero Edizione (Dark Exhaust Tips, Dark Miron Badging, Dark Miron Exterior Mirror Caps, Dark Miron V Scudetto Grille, and Monochromatic Center Wheel Caps), Sport AWD Pckg (BSW All-Season Performance Tires, Gloss Red Calipers w/White Script, Gloss Black Window Surround Moldings, and Sport Front and Rear Fascias), Dual-Pane Sunroof, Three Additional Gallons of Gas, and 19 x 8.0 Dark 5-Hole Aluminum Wheels. 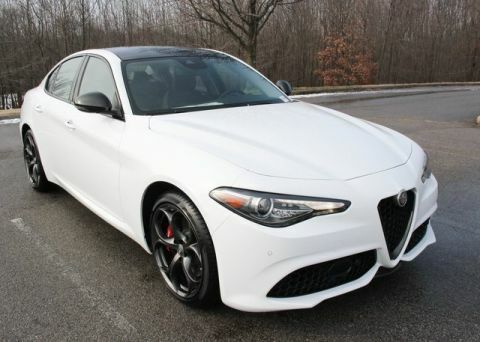 Looking for a responsive yet graceful Italian sedan? 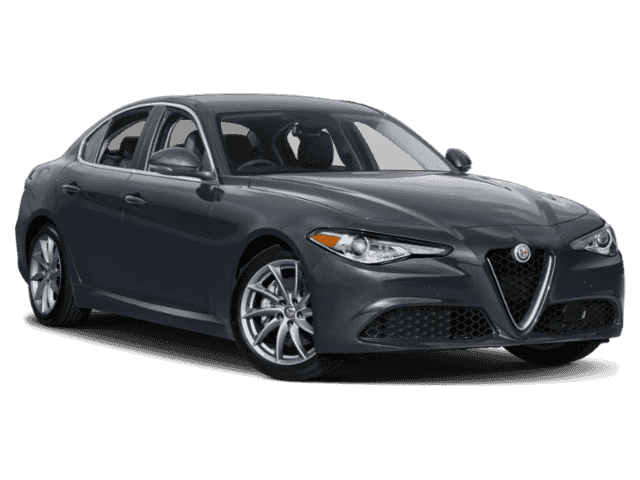 Then visit Alfa Romeo Louisville today where you can experience this Alfa Romeo Giulia with its elegant lines, all-season corner hugging traction, and exhilarating 280 HP Turbo performance.